Sackville Town Council passed a unanimous resolution Tuesday expressing its opposition to the “indiscriminate spraying” of the herbicide glyphosate, especially in areas where municipalities get their drinking water. The resolution also calls on the province to “closely monitor” any changes in the scientific evaluation of glyphosate as a cancer-causing agent. However, the resolution stops short of calling for a ban on spraying glyphosate in New Brunswick Crown forests — a ban advocated by various environmental groups and a coalition known as Stop Spraying New Brunswick. Deputy Mayor Ron Aiken, who wrote the resolution, said the town doesn’t have the power to ban glyphosate and since the province is unlikely to ban it soon, he suggested that calling for a ban now isn’t practical. “That approach is more like tilting at windmills; this one, at least, raises the concerns about it and asks the province to monitor it,” Aiken said. 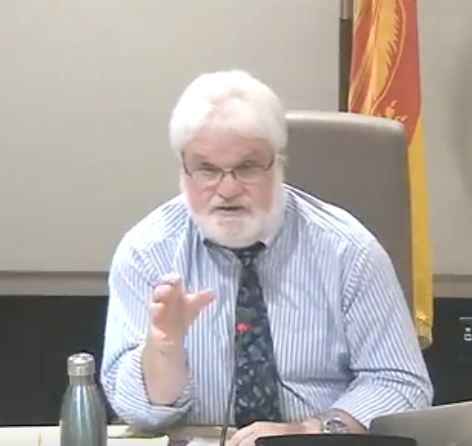 Aiken acknowledged that the town does have a bylaw banning the use of glyphosate, sometimes sold under the trade name Roundup as a “cosmetic” pesticide to kill weeds, but he doubted the bylaw could be enforced because the provincial Pesticides Act supersedes it. She noted that an agency of the World Health Organization has classified glyphosate as “probably carcinogenic” and so it’s important to keep monitoring further scientific studies. BE IT RESOLVED THAT THE COUNCIL OF THE TOWN OF SACKVILLE VOICES ITS OPPOSITION TO THE INDISCRIMINATE SPRAYING OF GLYPHOSATE AND ANY OF ITS FORMULATIONS ESPECIALLY IN WATERSHED AREAS THAT SERVICE MUNICIPAL WATER SUPPLIES, AND URGES THE PROVINCE OF NEW BRUNSWICK TO CLOSELY MONITOR CHANGES IN EVALUATIONS OF THE CARCINOGENICITY OF THIS HERBICIDE. For an evaluation of the scientific evidence that glyphosate causes cancer, click here. This entry was posted in Town of Sackville and tagged Crown forests, glyphosate, Roundup, Stop Spraying New Brunswick. Bookmark the permalink.